Women In Need has been working with victims of domestic violence and sexual assault in the Franklin and Fulton County Areas of Pennsylvania since 1976. Women In Need is a 501(c)(3) private, non-profit organization working within the community to obtain safety for victims of violence. All of our services are free and confidential to victims of domestic and sexual violence and to the significant others of victims. WIN serves approximately 1700 victims/significant others per year. Women In Need assists victims and their significant others by helping them to understand violence as it occurs, not only in the context of their own lives, but also how societal conditions and attitudes affects violence in the home. If you have been a victim of any type of abuse in Franklin or Fulton Counties, Women In Need may be able to help you. 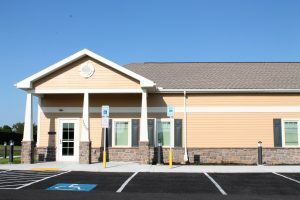 If you have any questions about our services or simply need more information, call us at 717.264.4444 or 800.621.6660.